Kelowna mortgage rates are competitive thanks to a strong economy and growing house prices. The city boasts a strong real estate sector as the third largest metro area in British Columbia. The table below shows the lowest rates from providers with offices in or near Kelowna. For providers that serve other parts of the province, reference the best rates in BC. 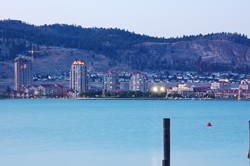 City in Brief: Kelowna is British Columbia‘s largest inland city (third largest city overall), and is situated on Okanagan Lake in the Okanagan Valley. Orchards and vineyards of some of the region’s internationally acclaimed wineries are easily accessed just outside of the city and contribute to the region being a popular tourist destination.